The kitchen after the renovation. 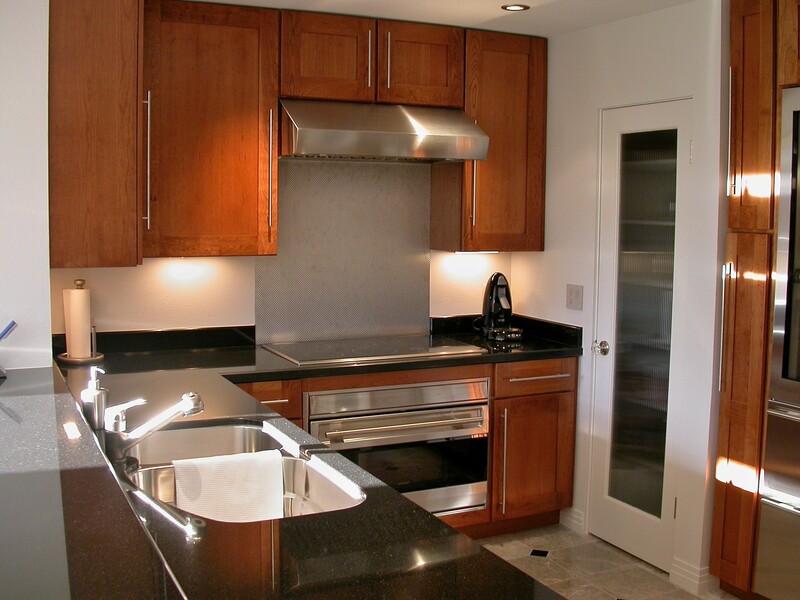 Two textures that we used were reeded glass in the pantry door and “lady bug” stainless steel behind the cook top. We used a Wolf cook top and a 36 inch wide built in oven and created a cleaner look than the more traditional professional range. 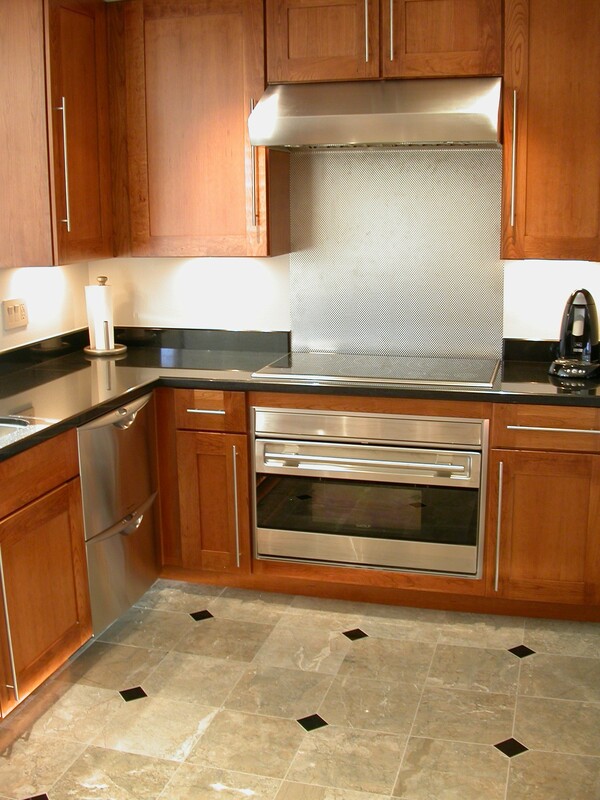 The larger than normal oven has plenty of space for preparing any meal. The reeded glass carried over to the the entrance door and storage cabinets. 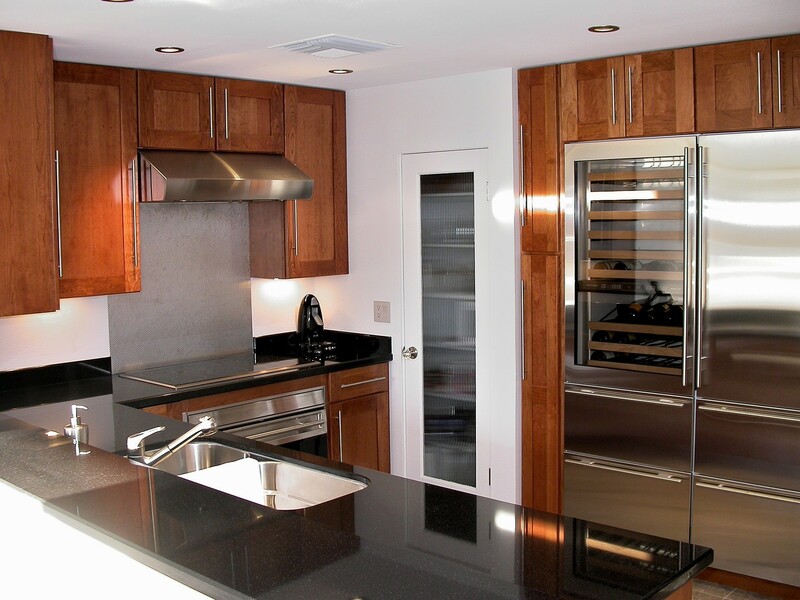 Natural cherry cabinets with shaker doors are given a bit of a contemporary look by using “bar” stainless steel pulls. 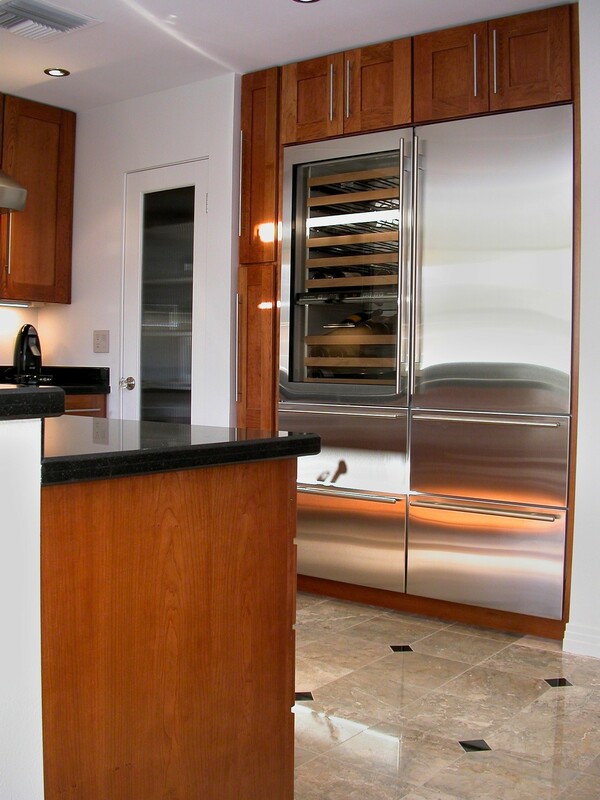 Our client wanted to be able to entertain at their home so the Sub Zero wine refrigerator has room for over 70 bottles with two additional drawers for refrigeration. The adjoining Sub Zero refrigerator has an upper section for refrigeration and two freezer drawers. Another view of the kitchen. 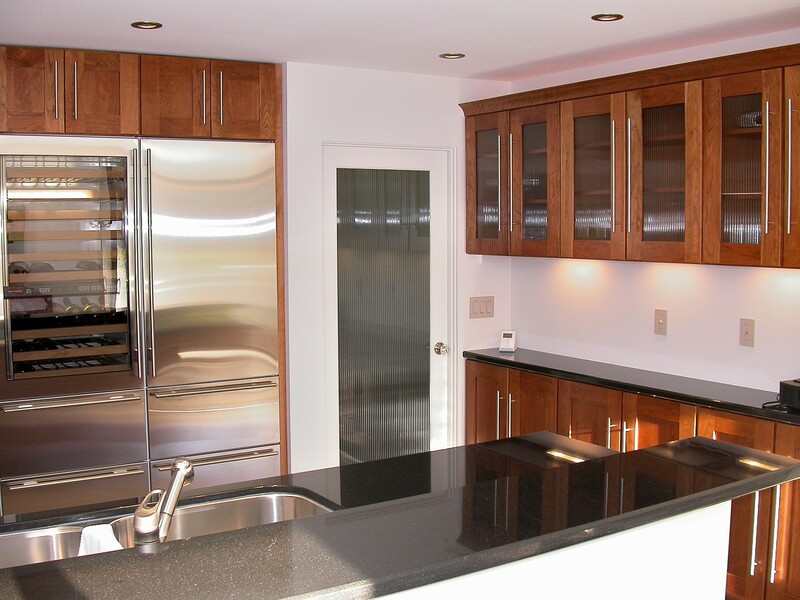 The overall space was modest in size, but the floor plan was very efficient and there is ample storage space. During the project, the homeowner was out of town. 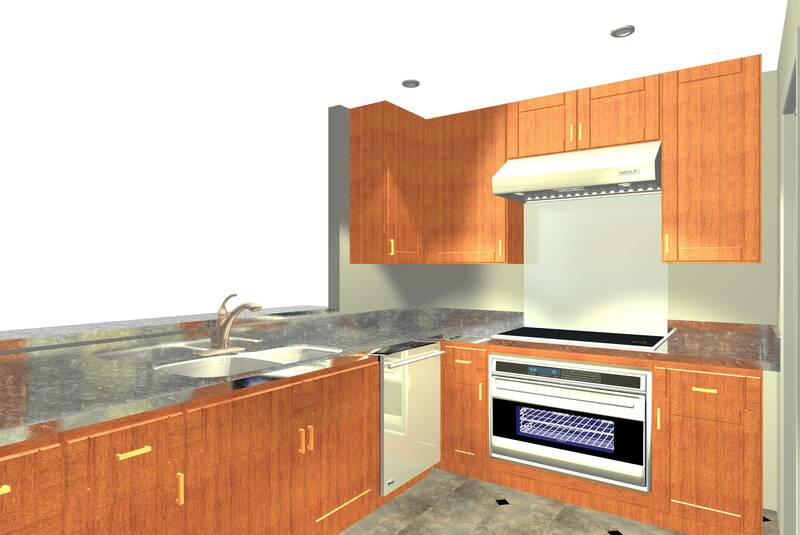 To help them see what the completed kitchen would look like, were were able to create renderings that modeled the actual appliances and cabinets we used in the project. 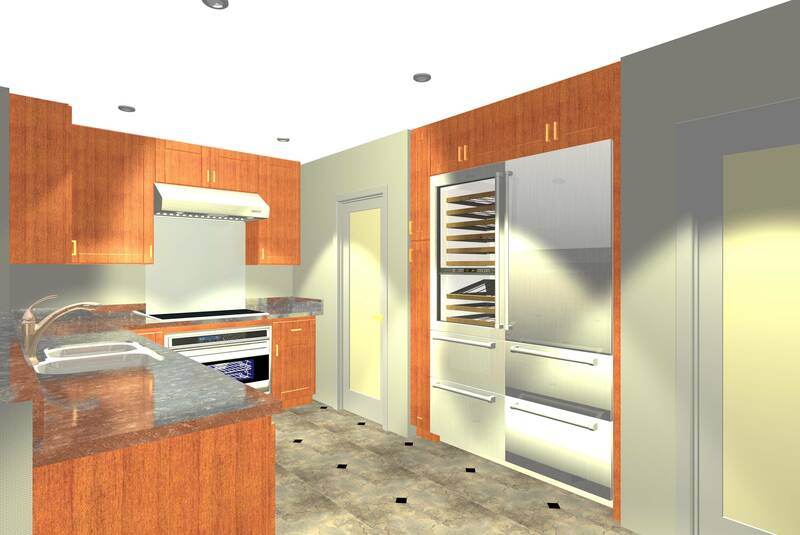 Another rendering of the kitchen showing many of the details that were in the kitchen when we finished the project. 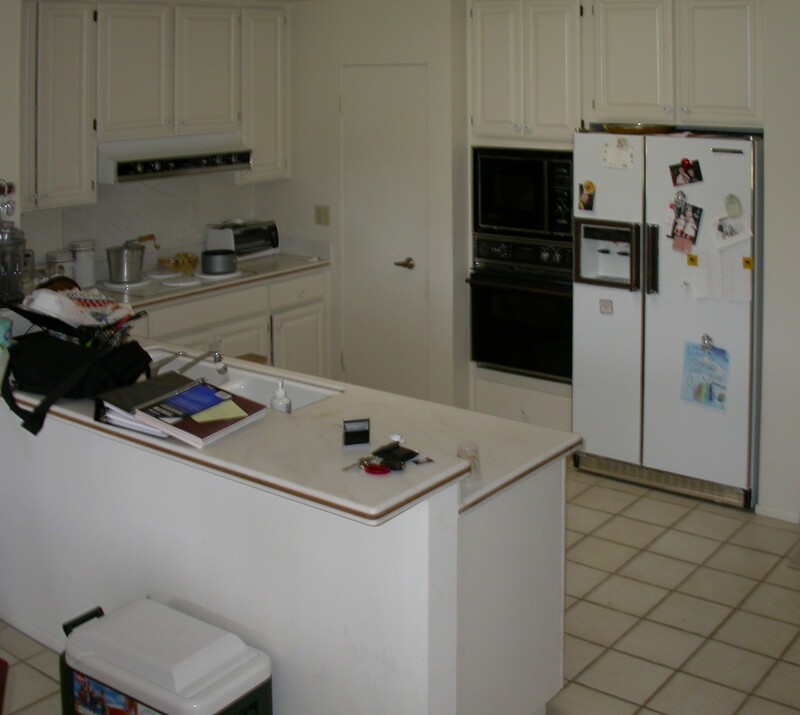 A before picture of the kitchen showing the dated appliances and cabinetry.